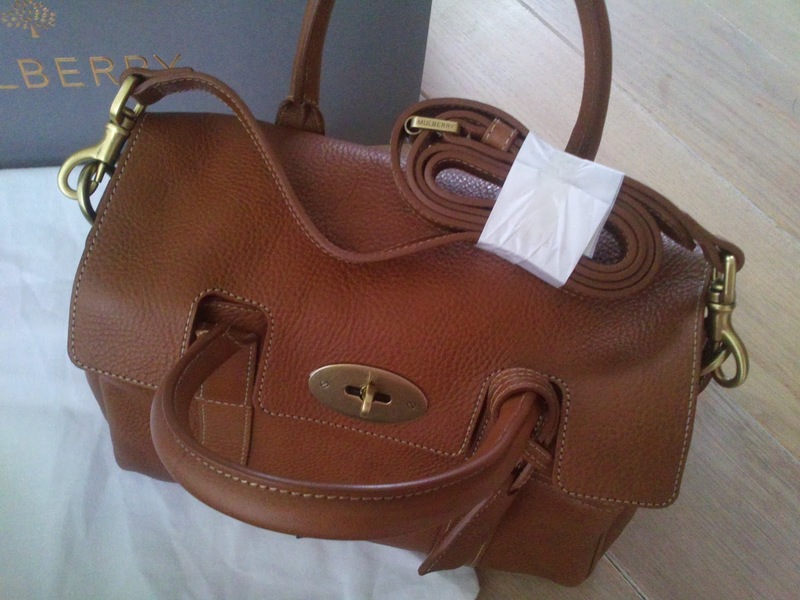 Okay, so if you've been reading my blog for a while now you'll probably know about my love for Mulberry bags. 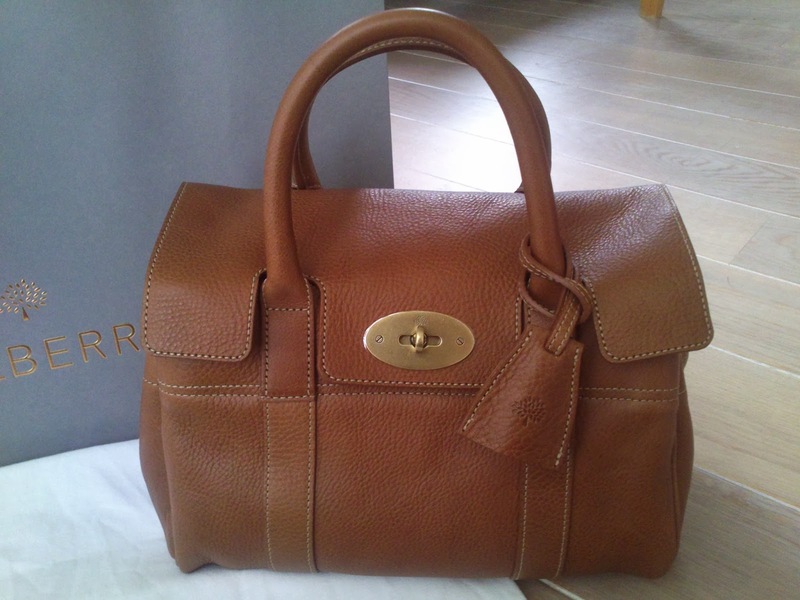 I've been saving up for the small bayswater satchel which is the little sister of the 'big' bayswater. It's indeed a small bag, but in fact you can fit everything you need in it. 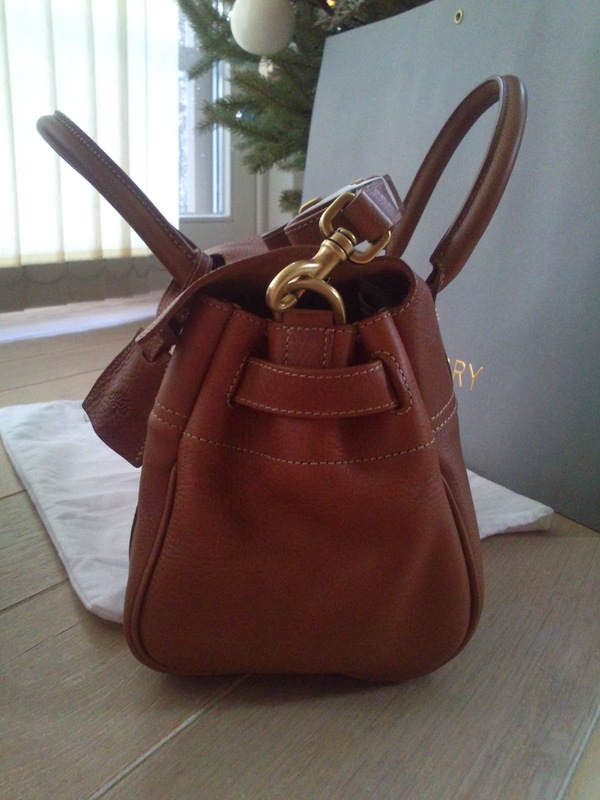 On boxing day this bag went totally unexpected on sale, you can all guess I went a little gray gray when I saw this! I ordered it immediately and it came in the mail 5 days later. It came in a huge box, so nobody could see what's in it from the outside. 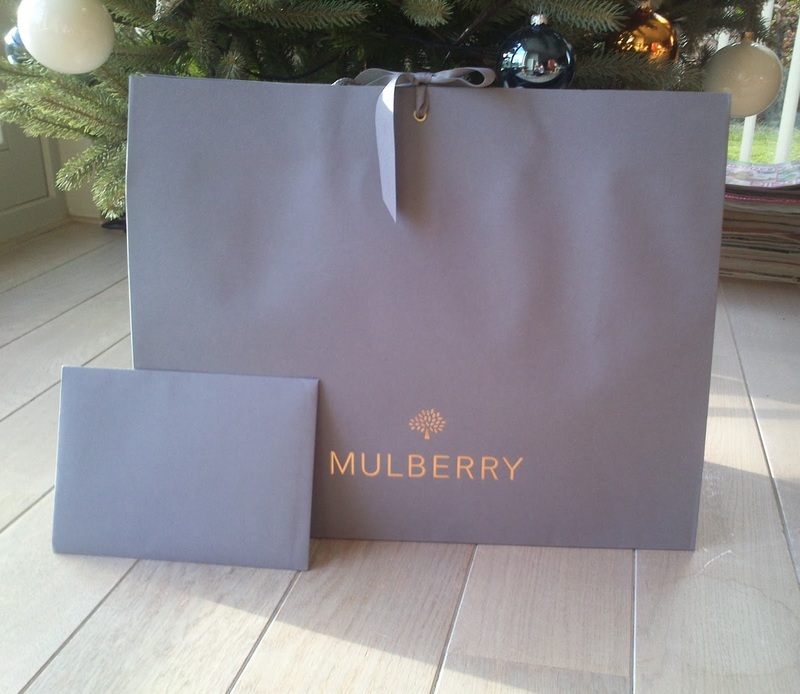 As you can see on the pictures the bag came inside the signature packaging and with an envelope. 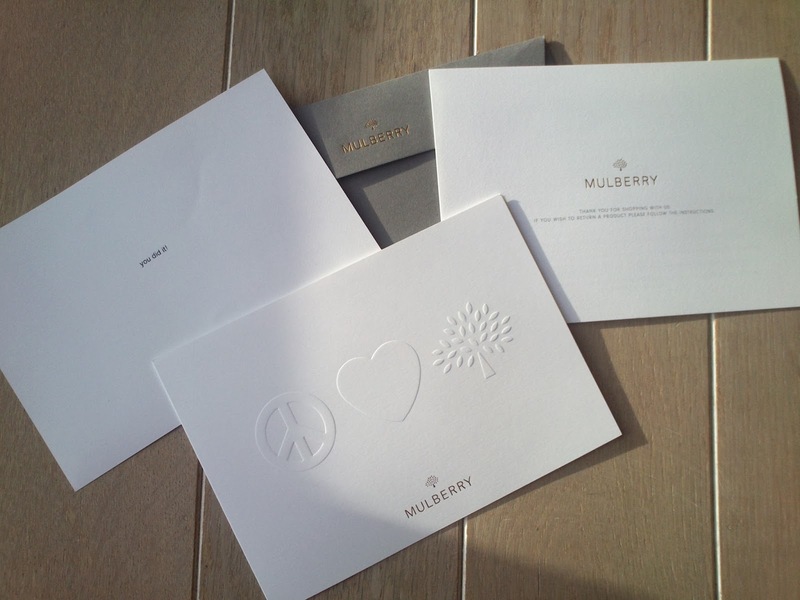 In the envelope there was a beautiful thank you card, it felt soooo special to get a thank you card haha ;) good job Mulberry, a message from myself (you did it) and an explanation about returning. The bag itself came in a white dust bag (see picture below). On the pictures it looks like their is some discolouration but it's just because of the lighting. no worry guys it doesn't really look like this in realy life. The actual colour looks like the left part on picture one and the middle on picture two. 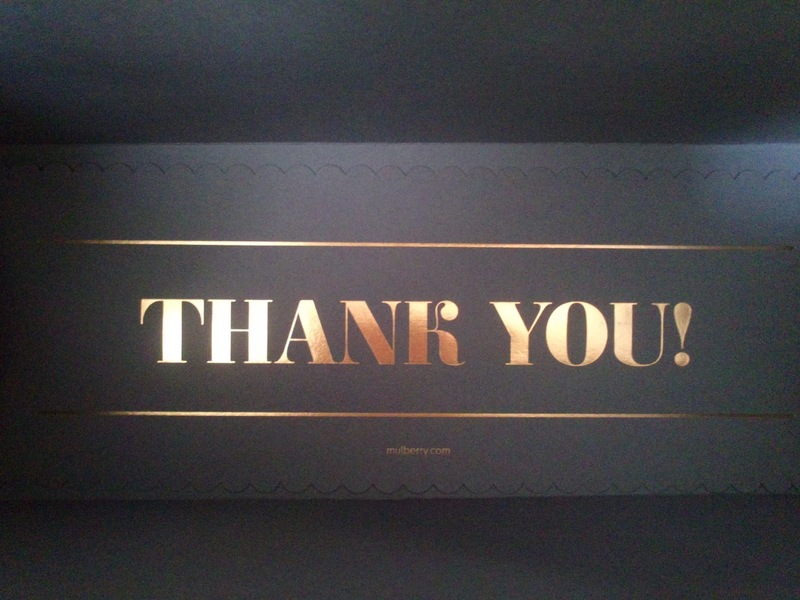 A beautiful gold brown, camel colour. 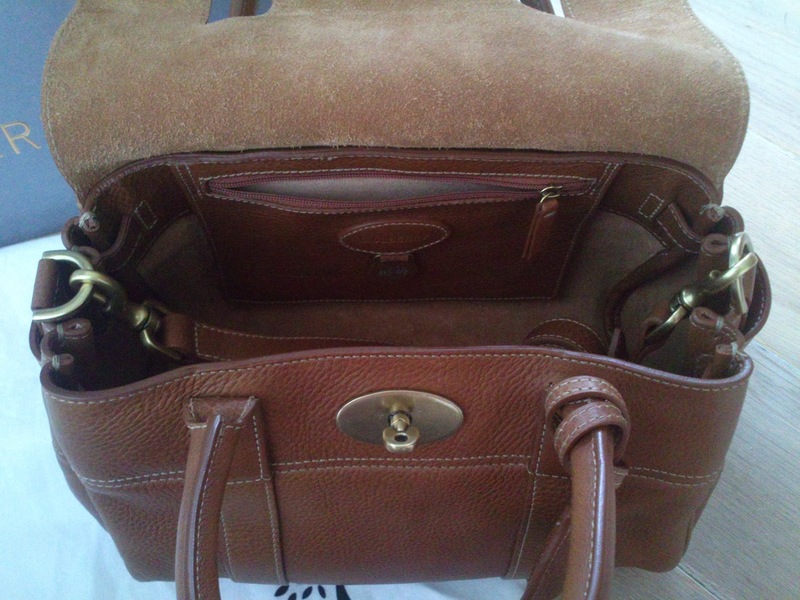 The bag has the well known putlock and also came with a shoulder strap. 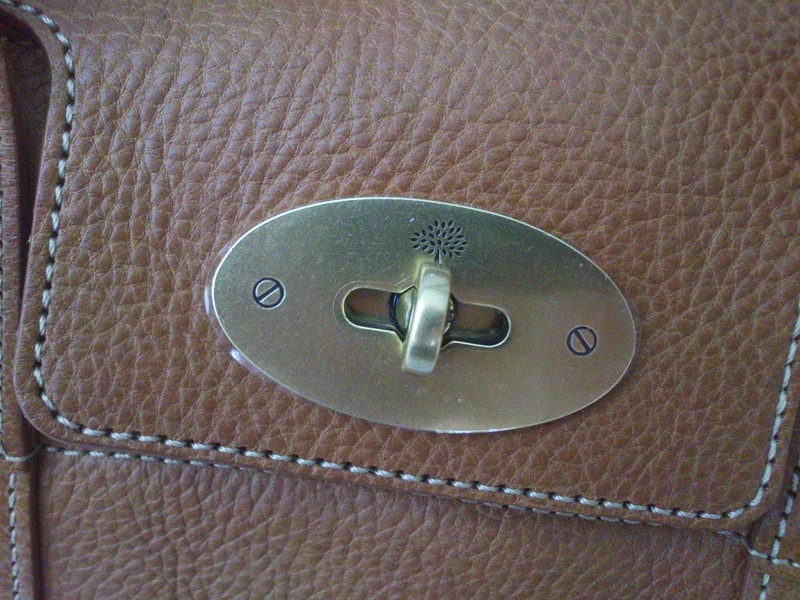 It has one inside zip pocket which you can see on the picture. 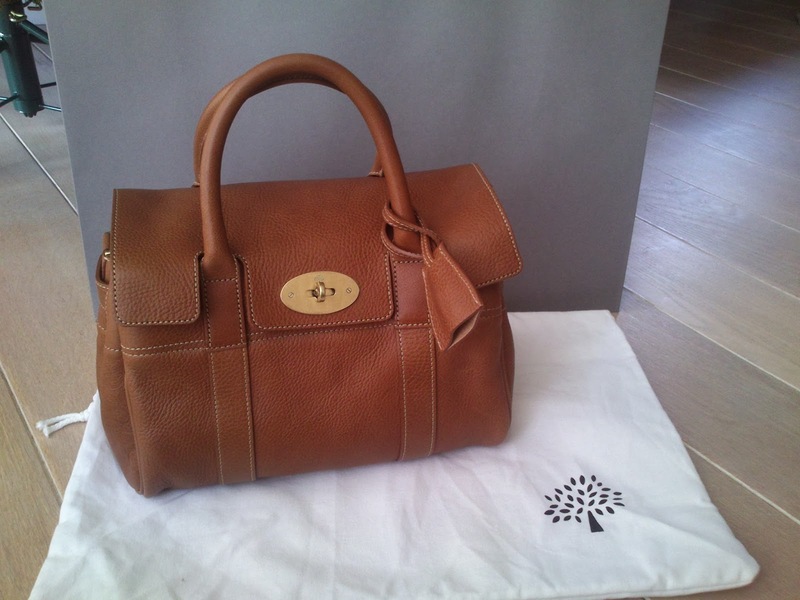 Although the bag has been treated against rain etc I'll be buying the mulberry leather gel to make sure the leather doesn't dry out and is protected against the weather. I'm so happy with this bag, she's drop death gorgeous! It really is an investment and I had been saving for it for months now, I would have purchased it at full price but I'm very glad I got it on sale. 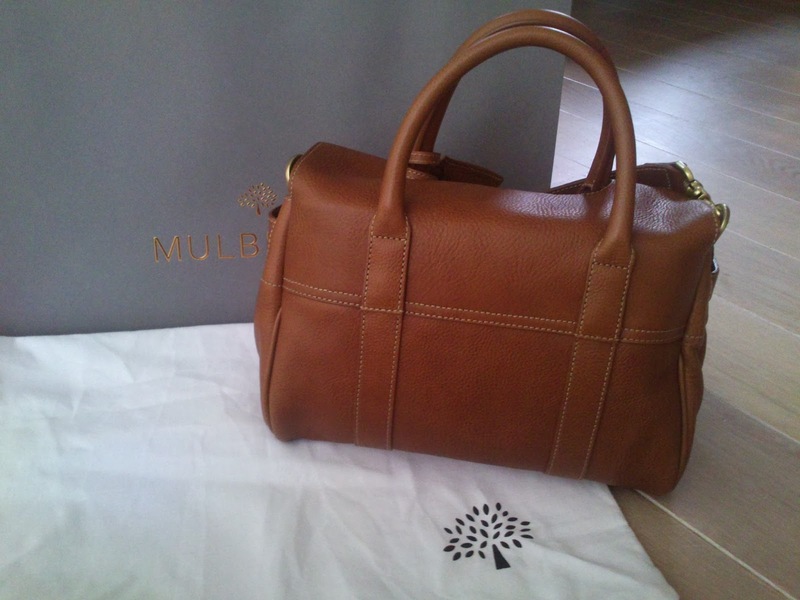 This is my first Mulberry purchase but definitely not my last! 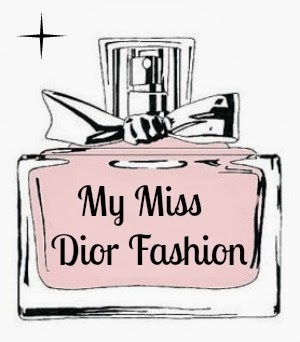 It's my favorite brand in the whole wide world! I'll be enjoying this bag for years to come. Eek, that bag is gorgeous! Congrats on your new purchase!